WBA ‘regular’ welterweight titleholder Manny Pacquiao 61-7-2 (39) has responded to claims a detached retina could end his storied career. 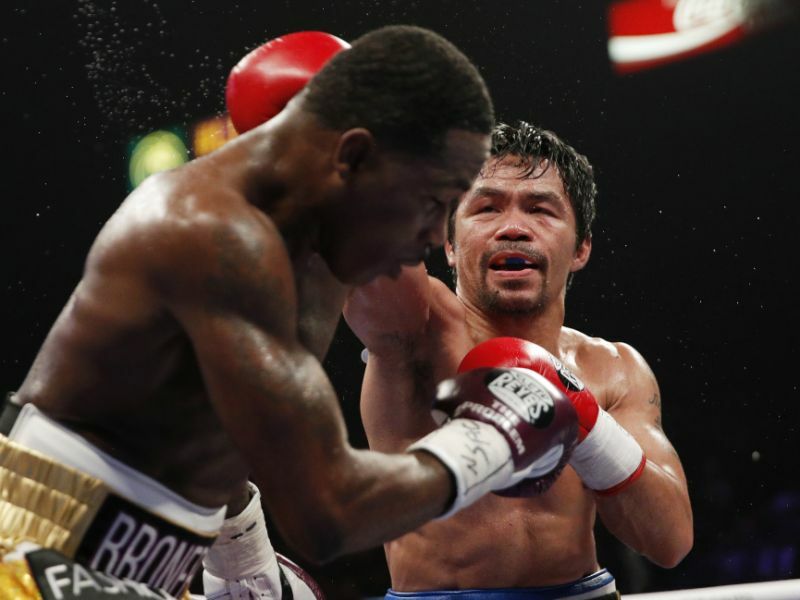 The Filipino icon made easy work of big-talking but limited American Adrien Broner 33-4-1 (24) at the MGM Grand in Las Vegas, Nevada on Saturday night, outpointing the challenger by a wide margin to cruise to a unanimous decision win. According to the New York Daily News’ journalist Wallace Matthews, sources in the Pacquiao camp have been concerned about the former eight-division world champion’s complaints about pain and loss of vision in his left eye. Another member of Team Pacquiao has hit back at the claims, labelling the injury a “minor corneal scratch”. The 40-year-old Filipino senator downplayed the claims on GMA News. “It’s okay, it’s just what my eyes are watering. It’s a scratch to my eyeball. I’ve been through this with the right [eye]. Now it’s on the left,” Pacquiao said. Numerous boxers have had their career curtailed by detached retinas. But Pacquiao is insistent that the injury is minor and that he can still face – and defeat – old foe Floyd Mayweather Jr in a rematch. “God gave me this good health and blessings and at the age of 40 I can still do this,” said Pacquiao. “I proved it in my last fight and I’ve proved it again; at the age of 40, Manny Pacquiao is still here. Pacquiao dropped a 12-round unanimous decision to Mayweather in May 2015 by scores of 116-112 twice and 118-110.